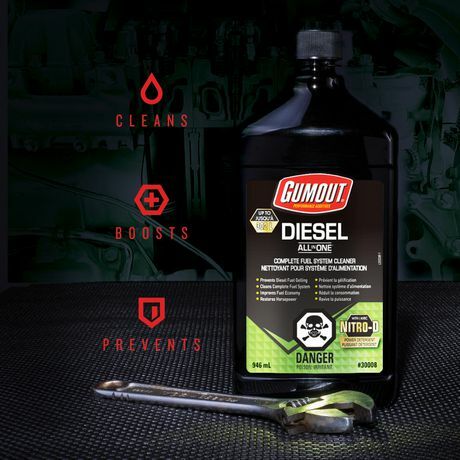 Gumout All-in-One is the leader in premium gasoline additives and now they’re taking it to the diesel world with this all-in-one diesel. 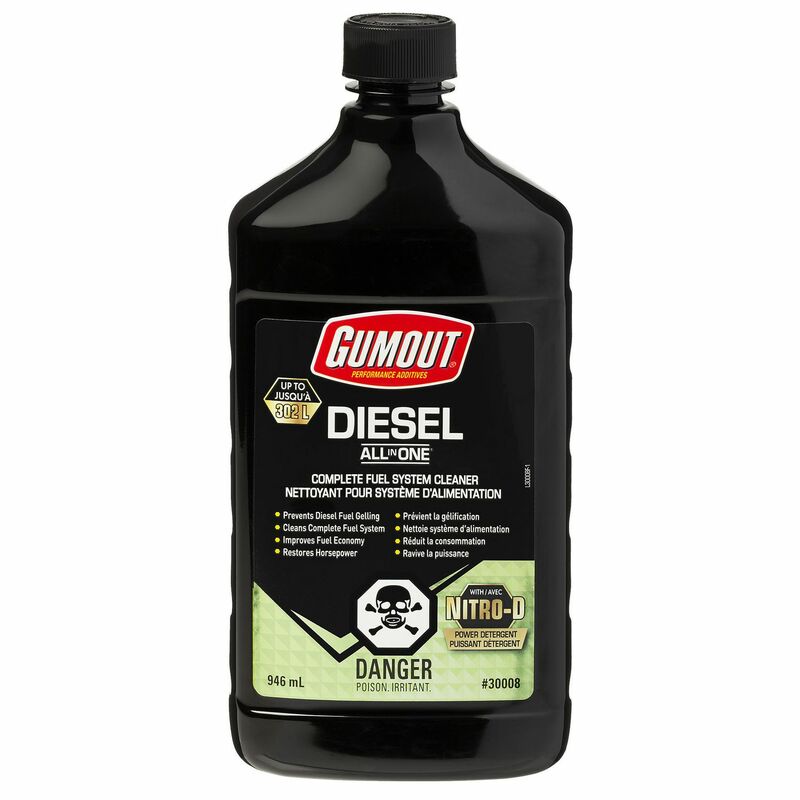 Other diesel additives just clean injectors, Gumout cleans the entire diesel fuel system using their potent Nitrogen-D Power Detergent. It’s above and beyond the competition even removing existing gel build-up plus providing anti-gel protection. All-in-one concentrated fuel system cleaner treats up to 302L, equivalent to 2-5 treatments per bottle! 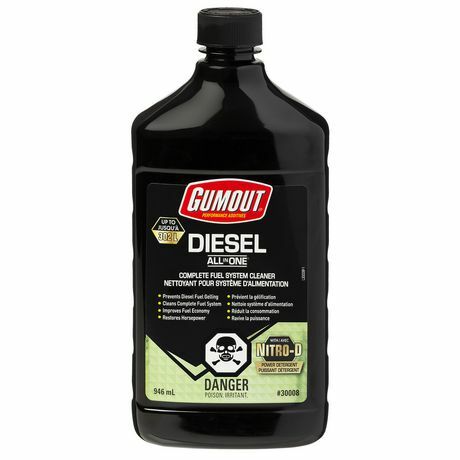 CLEANS: Cleans all components of the diesel fuel system. This is above and beyond what the competition does, by cleaning not only the injectors but the entire fuel system. Nitro-D Power Detergent cleans vital engine parts and reduces vehicle emissions. PREVENTS: Provides anti-gel protection while removing existing gel buildup.